I don't know who is the happiest or the most surprised! The first half was not pretty. It reminded me of the entire game at the San Siro, which also ended in a scoreless draw. I don’t agree with Allegri’s choice of the 4-3-3, and I like to think that this match showed once again that it is not ideal. But that just means he’ll use it again on Sunday. Milan started out trying to exploit the speed of Bojan and El Shaarawy, but were unable to effectively make use of the speed. We had 2 offside calls in the first 6 minutes, on Boateng and Constant respectively. In the 13th minute were the two highlights of the first half. First, a wicked Jovanovic shot that forced Abbiati into a fantastic reflex save. Less than a minute later, Praet came in with a dangerous shot, but it went wide. That is truly all that was noteworthy about the first half. Well, that and Nocerino got himself a yellow in the 41st. It was a lot of headless chickens fouling and dispossessing each other. And Milan only had 39% possession on the night, too. Ugly. The next generation Allegri? How about the NOW generation? The second half was more of the same football, but this time several players stepped it up, and some moments of brilliance shone through to make it very exciting. The first moment of brilliance, not surprisingly, came from an El Shaarawy goal on a cross from De Sciglio. 1-0 Milan. Those two have been connecting really well and making for some very exciting plays, despite their Allegri & Galliani-defined handicap of being only 20 years old. /Facepalm. The game was fairly rough, like in the 53rd when it looked like Milan players were bowling for Anderlecht players in the box. And speaking of this incident, Anderlecht seemed to want a penalty for at least one of the fouls. But the ref refused, letting play continue. And El Shaarawy was immediately taken down at the other end, and he gave no call for that, either. Mexes particularly tempted fate with some late tackles and rough fouls, like when he stepped hard on the masked Mbokani in the 60th. But fortune was with him in that the ref really didn’t call a lot, he kept the game moving. In the 64th, Yepes attempted a great diving header. The ball went in, but it was called off for offside. Milan had 5 offside calls on the night. Bojan was then subbed off in the 67th for Pato. Bojan was great, but I honestly feel he plays best as a trequartista in a 4-2-3-1 formation. Pato’s welcome to the match would be fateful for Anderlecht. In the 70th, he was doing what he does best: outrunning 2 defenders. One, Nuytinck, turned in and fouled him hard, taking him down well ahead of the penalty area. The ref thought for a minute and then confidently pulled out the red card, as he was the next to the last defender preventing a clear goalscoring opportunity. While it could be argued that the other defender may have caught Pato, since it was so far out, the ref must have seen last year’s Champions League match vs. Barcelona when Pato scored in like 25 seconds or something and realized the most important fact in this scenario: No one was going to catch Pato. Anderlecht played the remaining 20 minutes on 10 men. What happened next is something that people will tell their grandchildren about. On the play resulting from that free kick earned by Pato’s foul, Mexes…. yes, our center back… that Mexes… did his very best Ibra impersonation and scored the most incredible overhead bicycle kick goal from just outside of the box. Amazing. 2-0 Milan. I’ve never seen him so happy. Allegri followed that up with another sub, this one in the 75th, Constant off for Urby. Constant had been one of our better players on the night, even my British commentators recognized that. Also at this time, De Sutter came on for Praet, which is noteworthy because De Sutter scored a very opportune tap in through Abbiati’s legs in the 78th. Mexes had some knee trouble on the knee he’d had surgery on, so was subbed off for Zapata in the 79th. Oh, and Abbiati was shown a yellow card for timewasting in the 84th. De Sciglio put yet another beautiful cross in for El Shaarawy in the 84th, however, it was just intercepted by the keeper. But it was actually the speed of El Shaarawy and Pato that sealed our fate in the 91st. El Shaarawy had the ball, but was getting shut down, so he crossed it in for a speedy and incoming Pato, who got the easy tap-in. And even though it was the Pharaoh who did most of the work, the Duck seemed very happy and very grateful to get on the scoresheet. What an amazing match. No one could have predicted such an amazing result coming from such terrible football. The result and certainly the qualification keeps Allegri’s claws sunk into Milan for that much longer. And as much as we desperately need the €12-15m earned from qualification, we really didn’t need to be playing in Champions League longer this season with such poor results in the League. But to qualify for the Round of 16 for the 10th consecutive season may also be just the accomplishment this team needed to gain the confidence to be competitive in the league and finish in the top ten. It doesn’t matter. Tonight, we celebrate an absolutely incredible result and a stunning and memorable goal, too. After all we’ve been through this year, we deserve to simply be happy this one day and let everything else take care of itself. Like Cinderella meeting her fairy godmother, tonight we are simply happy and grateful. And then maybe someday our Prince will show up again, too. (Now that is the stuff fairy tales are made of!) Come January, we are off to the ball, with or without him. Qualified. 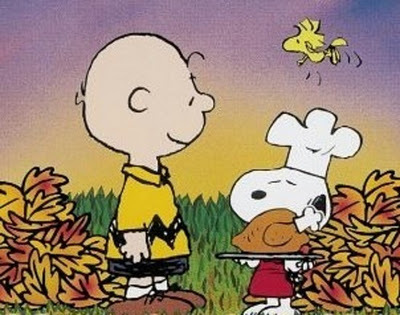 Tomorrow is Thanksgiving day here in the U.S., so while I’m being thankful, I’d like to thank all of you. Some just read, some read and comment, others contribute in the form of guest posts or otherwise. I am grateful for all of you who make this a place where all of the smart, witty, fun people hang out and talk about Milan! You guys are the best!